Info Congressman Jim Clyburn has been praised as an "unashamed advocate of his constituents" by his hometown newspaper, Columbia�s The State, and called the "Carolina Kingmaker" by the Washington-based National Journal. This Sumter native was first elected to serve South Carolina�s Sixth Congressional District in 1992, and has been honored by his constituents with an overwhelming majority of the vote in each subsequent election. In the 2002 election with newly drawn district lines, he received 67% of the vote in a 53% minority district. Jim Clyburn enjoys the same support from his colleagues in the U.S. House of Representatives. He has been elected to serve in the House Democratic Caucus leadership as Vice Chair, the fourth-ranking Democratic representative, for the 108th Congress. This is the latest in a distinguished list of leadership roles during his decade of Congressional service. Congressman Clyburn was elected co-President of his Freshman class, served as Chair of the Congressional Black Caucus Annual Legislative Conference in 1997 and 1998, and most notably was elected in a rare unanimous vote to Chair the Congressional Black Caucus for the 106th Congress. It was in that role that Congressman Clyburn led the largest Congressional delegation ever to visit the financial centers of New York�s Wall Street and Chicago�s LaSalle Street. He moved environmental justice issues to the forefront of the Caucus� agenda and successfully pushed for integration of the 4th Circuit Court of Appeals. He currently serves on the coveted House Appropriations Committee, where he is a member of the Subcommittees on Energy and Water Development, Transportation and Treasury, and Legislative Branch. In his first three terms, Congressman Clyburn served on the Veterans Affairs and the Transportation and Infrastructure Committees, where he was the ranking member on the Veterans Affairs' Oversight and Investigation Subcommittee. Following his graduation from South Carolina State University, Congressman Clyburn served as a teacher, an employment counselor, and director of two youth and community development projects in Charleston, South Carolina. He was appointed to the staff of Governor John C. West in January 1971, and in October 1974 Governor West appointed him South Carolina Human Affairs Commissioner where he served until retiring from state government in 1992 to run for Congress. 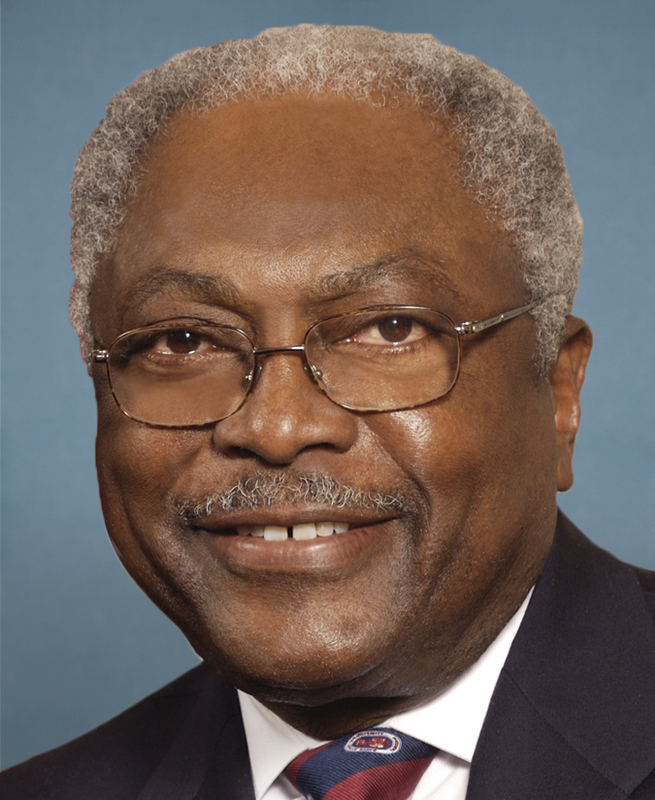 Congressman Clyburn currently serves as Steering Committee Chairman for the International Museum of African American History in Charleston, South Carolina and is a member of the governing boards of Allen University in Columbia, South Carolina; Brookgreen Gardens in Murrells Inlet, South Carolina; and The Palmetto Conservation Foundation. He is a life member of the N.A.A.C.P., a member of Omega Psi Phi Fraternity, Inc., and is a Mason and Shriner. A graduate of the South Carolina Executive Institute, Congressman Clyburn has been awarded honorary doctorate degrees by twelve Colleges and Universities. 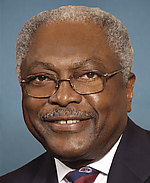 Congressman Clyburn is married to the former Emily England of Moncks Corner, South Carolina. The couple has three daughters, Mignon, Angela, and Jennifer Clyburn Reed, a son-in-law, Walter Reed, and two grandchildren, Walter A Clyburn Reed and Sydney Alexis Reed. 06/09/2020 SC District 06 - D Primary ??? DNC Party Chair - Feb 12, 2005 D Donnie Fowler, Jr.